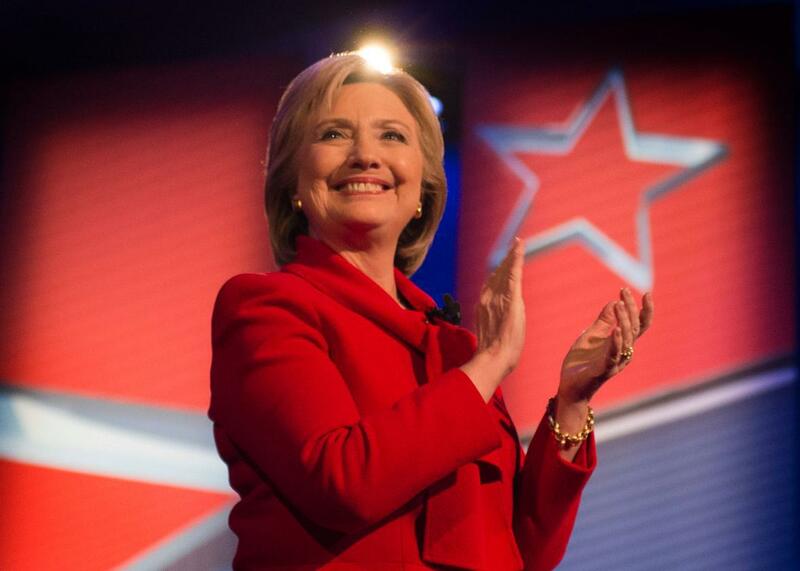 Hillary Clinton won the Iowa caucus, says state Democratic Party. Hillary Clinton applauds during the CNN Town Hall at Drake University in Des Moines, Iowa, on Jan. 25, 2016. Sanders has yet to concede—and the Associated Press has similarly declined to call a winner so far. Still, the current math leaves no way for Bernie to overtake his rival. The outstanding precinct is Des Moines–42, which will determine which candidate receives the final 2.28 state delegate equivalents that are still on the table. Sanders, though, currently trails Clinton by 4.08 state delegate equivalents. As should be clear by the fact we’re talking about “state delegate equivalents”—and fractions of them at that—the Iowa Democratic caucus is not your typical primary. The (simplified) long version of what happens is this: Democrats show up at their local precinct on caucus night to elect a set number of county delegates—the number of which is predetermined by turnout in the past two general elections, not by turnout at that year’s caucus—and then those delegates go on to elect their own delegates to district and state conventions that happen later. (Those delegates then select delegates for the Democratic National Convention.) The short version is this: The numbers we see this morning are the party’s best estimate of what the state delegations will look like, but they are still an estimate. But while the official state delegate numbers could still change when the convoluted system finally finishes later this year, based on the numbers we do have, the answer to the question of who won the Democratic caucus on Tuesday is Hillary Clinton. The caucus itself only awards county delegates and Hillary won a plurality of those. Clinton’s camp expected to win by a larger margin, but the narrowest of victories is still better than a loss; the Democratic front-runner will take what she can get. As I explained before the caucus, a Sanders win would have fundamentally altered the race. He’ll still be able to rebound next week in New Hampshire, but even a blowout win there will leave him still searching for a path to the nomination that runs through less friendly Southern terrain. Sanders fans, though, can take heart. Bernie leaves Iowa after fighting his party-backed rival to a near-draw. He arrived in New Hampshire early this morning claiming momentum was on his side, and in many ways it is. This time last year he was trailing Clinton by more than 50 points in Iowa polls and even as recently as last week trailed her by an average of more than 3 points. Given that, Bernie will maintain that the night was an effective draw, which is not an unfair assessment. His problem, though, is that as the insurgent in the race, he still needs a win.